Good Morning You Beautiful People. I am feeling on top of the world today. I donated blood for the first time last night- and it feels incredible, knowing I have done my bit to help. Even booked my next appointment. Hopefully I wont be as nervous as I was this time haha. Luckily I had my good friend with me, and the nurses are amazing at keeping things calm. While I was there I was doing a bit of pinterest searching- as always! And saw a lot of posts about ‘Detox Water’ Recipes. Now im quite fortunate that I am always thirsty and have more than the recommended daily water. I know a few people that struggle with this. But- I am always looking for new ways in doing this- so thought I would give this a go. For those who don’t know. Detox Water is a way of infusing nutrients through fruit, spices and herbs into the water for added consumption of nutrients- easily. The fruit etc.. lasts about four waters which is amazing. I decided to use whatever fruit I had to start of with. I have heard that Cucumber is a brilliant one to add- so I threw a few slices of that in. 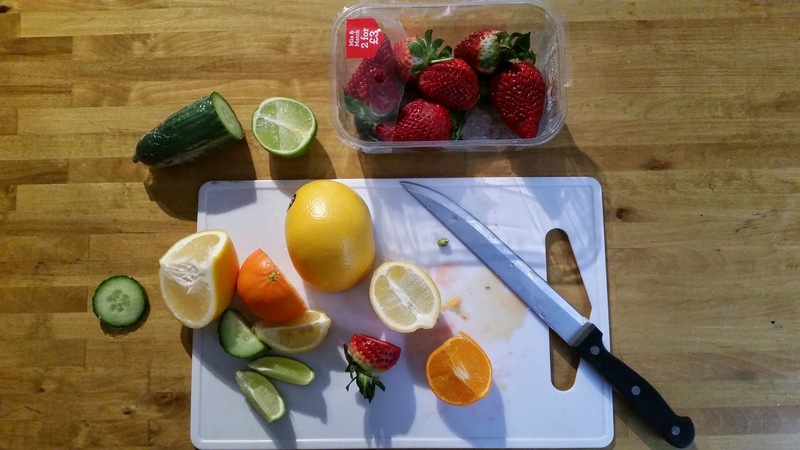 With Grapefruit, Lemon, Lime, Orange, Strawberry and Ginger. Let sit in the fridge and enjoy. And this one tastes amazing!! Such a fruity but subtle taste- brilliant for those who don’t like plain water! 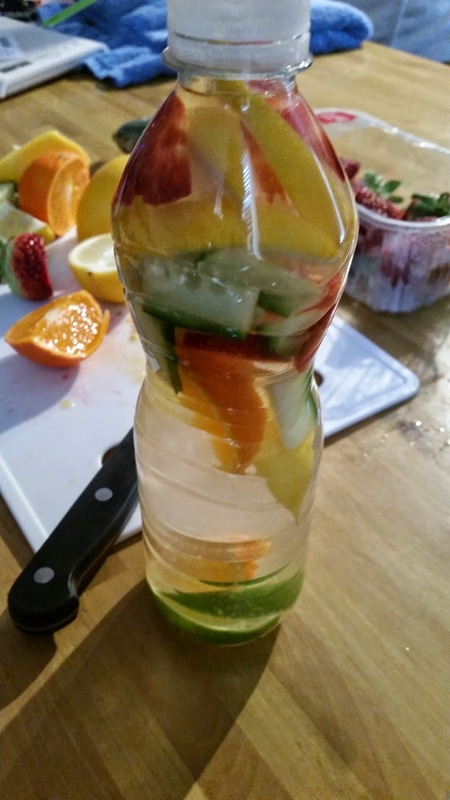 Have you ever made a Detox Water? I would love to know- leave me a comment below.